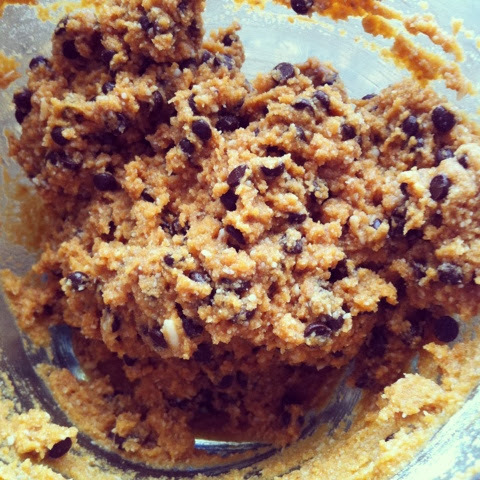 There's nothing better than warm chocolate chip cookies, fresh out of the oven, that taste amazing & are great for you. This recipe contains no dairy, gluten, grains, nuts, refined sugars, or soy; so it's super clean and Paleo-friendly. Like many people I've served these to, you're probably wondering, "No butter, sugar, flour, etc.? What's left?!"........ All the good-for-you stuff, that's what! Coconut, eggs, & some simple chocolate chips. I have served these to fellow Paleo eaters, as well as traditional flour & sugar loving people~ They all loved them! 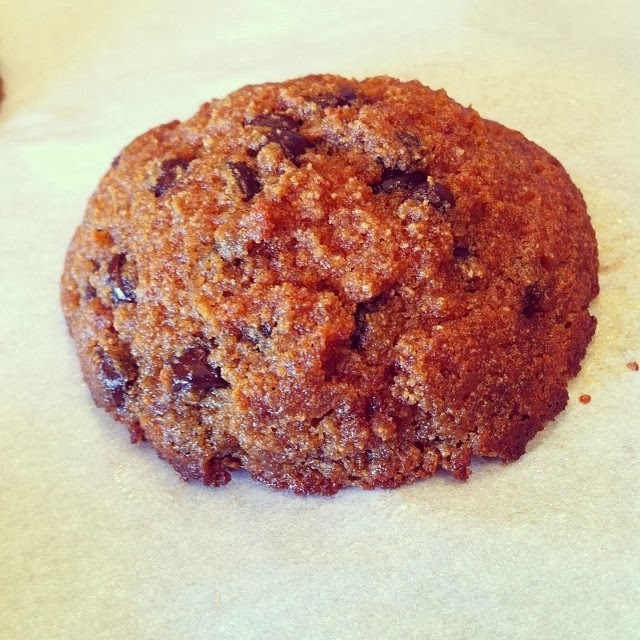 I recently revamped the recipe, & these cookies are now extra moist and super decadent. Let me know if you test them out... I promise you are going to love this soft, chewy treat! 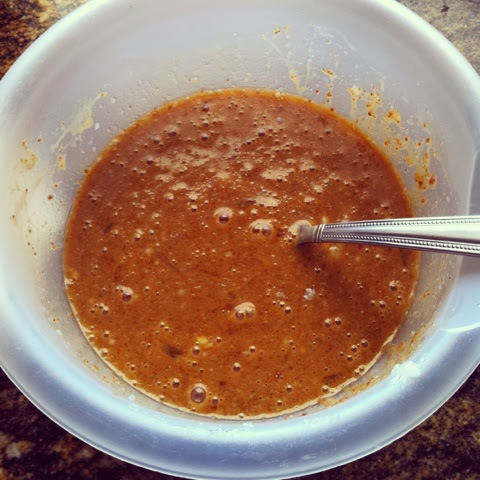 In a medium bowl, combine the coconut sugar & wet ingredients (coconut oil, coconut milk, eggs, & vanilla). 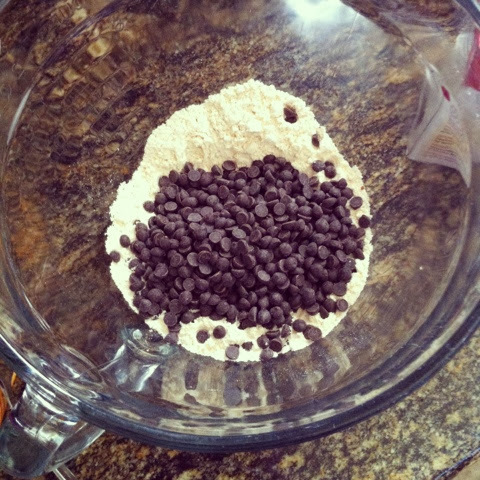 Add the remaining dry ingredients & chocolate chips, and stir until fully mixed. Scoop the cookie dough onto a baking sheet lined with parchment paper. I used a cookie scoop. You can use the bottom of a measuring cup to flatten the tops a bit if you want thinner cookies, just keep in mind that they will spread while baking. Bake for 12-14 minutes, or until slightly firm to the touch. *Makes about 12 large cookies. We’ve recently launched the website Mytaste.com. It’s a search engine that gathers all the best recipes from US websites and blogs in one place. Mytaste.com is part of the world’s second largest family of recipe sites, with sites in 37 countries and hundreds of thousands of visitors every week. We’ve noticed that you have a lot of great looking recipes on your blog that we would love to feature on our site. To read more about how it all works and to sign up with your blog, please visit: http://mytaste.com or send us an email on info@mytaste.com. We look forward to hearing from you! 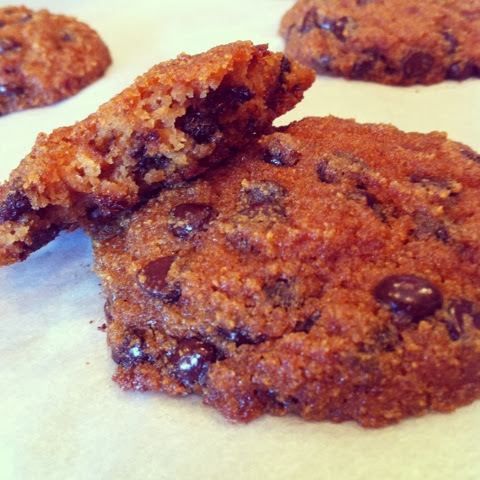 These chocolate chip coconut cookies are awesome. They are the perfect snack when I'm craving a dessert. Thanks for the recipe Jessie. This is a wonderful recipe! 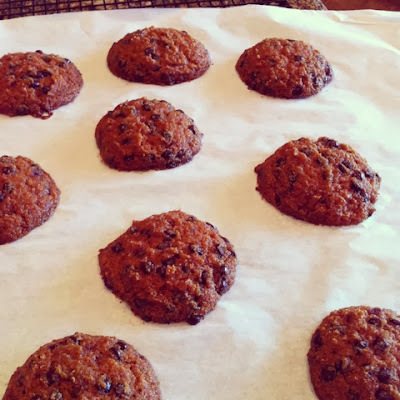 I wasn't too sure how the cookies would taste using coconut flour, but I was pleasantly surprised. It's my second time making these cookies and they're so good it makes me feel like I'm cheating on my Paleo diet. Thanks for sharing this recipe with us. I want to make sure it's ok with you that I did so. Please let me know if you want me to remove your image. I would love if you could share a little love by sharing the post on your social media accounts. After all, in the end it will help you get more traffic too. I am also open to other collaboration ideas so please let me know if you have ideas of how we can help grow each other’s blogs. In case you're not already a member of our sister site, InspiringCooks.com I would like to invite you to join it. I was frustrated with how much work it is to submit to food submission sites so I created my own site kind of like Food Gawker. The main difference is that you don't have to submit each recipe. All you need to do is fill out this form - http://inspiringcooks.com/submit-recipes/ and we will add your recipe images for you with a link to your site (no recipe on our site). We will also promote your content by pinning both directly from your site and from our site.